Looking for a hen party to get your creative juices flowing? These top 4 cities for a crafty hen party are the ones to watch for all women with active imaginations and a passion for everything artistic. Charming and humble cities, small in size but with an enormous wealth of sights to see and things to do, ideal for a crafty hen party. 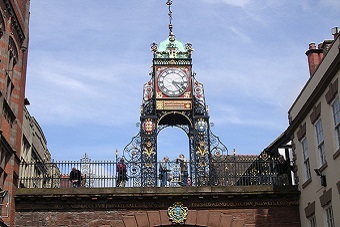 Chester is a city that’s as rich with history as it is creativity. It's home to proudly and preciously preserved Roman architecture, such as the ampitheatre, gardens and of course the surrounding city walls. You can tangibly see the modern and ancient world collide, giving Chester a beautiful and unique aesthetic. Host of a grand annual arts fair, Chester is also a city which places tremendous value on on all forms of creativity. Whether you want to practise a chosen craft or try something new, Chester has something for you. 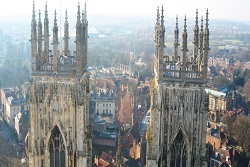 York is another walled city of roman origin and a mix of medieval viking heritage. It's also another wonderful location for the creative. Boasting an excellent museum and an impressive art gallery, York is rich with art and culture, perfect for inspiring creative ideas in anyone. It’s hardly surprising that York is full of activities for a crafty hen party to enjoy. Yet another city of Roman origin which holds art and craft in high esteem, Bath gets its name from its famous ancient roman baths. Bath is where you can find the museum of East-Asian art, where you can admire absolutely beautiful artwork from an exotic culture you can't find anywhere else. 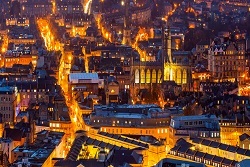 Bath is a brilliant city for a crafty hen party to explore. Only 30 miles from London, Windsor is a humble yet beautiful city surrounded by gorgeous countryside which you can't help but fall in love with. 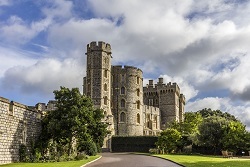 Windsor castle is an absolutely magnificent building which definetely deserves a visit. Windsor is a beautiful place with a wealth of creative activities, making it a perfect place for a crafty hen party to express themselves. As well as these top 4 cities for a crafty hen party, see over 50+ hen party ideas at Funktion Events or give them a call on 0161 341 0052 if you would like to discuss your event.